One of the things that we celebrate that is not as popular as other occasions in the world is April Fool’s Day. The fact is sometimes it goes unnoticed until someone does you prank and you will be reminded that it is the first of April. At this point in time, let us recall back the history of the said event in order to clarify all the doubts on our minds regarding the origin of the said event. 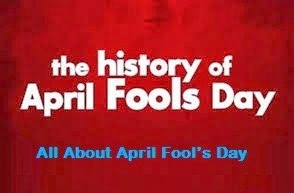 Normally, the history of April Fools Day dates back to the western culture wherein it is also called as All Fool’s Day. If we are going to look at the history of April Fool’s Day, we cannot find something that can totally tell about it directly. There are gesticulations that it came during 1582 when France adopted the Gregorian calendar. If we are going to look at the position of the month of April, it is after March which indicates around the time of the vernal equinox. In a Dutch poem published in 1561, it became a base for the April Fools wherein the adoption of the Gregorian calendar was predated by 21 years. There are other festivals celebrated also like the Hilaria which means good cheer which is done by ancient Romans. Hindu has its Holi, the Jewish has Purim. These are some historical bases for April Fool’s Day. April Fool’s day is noted by hoaxes, pranks and good times with family members, friends and other relatives. It is also practiced in school and at work wherein there are unexpected events that are planned which the victims believe to be true. The thing about April Fool’s day is that it is not easily noticed that is the reason why there are so many victims on the day of April 1.